Priority access to our rooftop Crystal Pool Lounge. Relax and unwind with 240 degree views across Bali whilst enjoying the divine sunshine, casual dining, cocktails and juices. Catch the sunset over the Indian Ocean as you lounge the afternoon away with friends as our rooftop deck transforms from day to night with special guest DJ’s, live music and acoustic sessions and traditional Shisha. 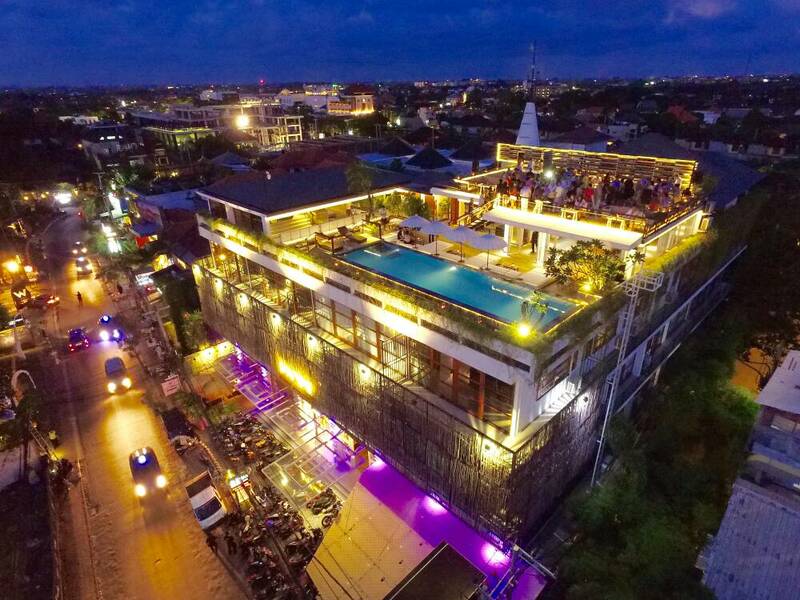 Voted Asia’s Best Day Spa 2016, guests enjoy priority bookings with our spa partner Spring Spa located right next door to the hotel or at their Seminyak location just a short 5 minutes away. Get your Insta on in your room! Imani Suites is home to Petitenget’s infamous Café Organic so you can have your favourite gluten free, dairy free, organic, vegan delights delivered straight to your room! There is an age-old tradition of warm hospitality that exists in Lebanese culture. In a Lebanese household, food is life and sharing it is one of the great joys of being alive. In the Arabic world eating is not just to quench the hunger – it is rather an essential, sociable festival of delicious appetizers, rich, appealing tastes and enticing colours! It is healthy, enjoyable and a connecting element which brings people together. The Lebanese diet is rich and complex bringing many lovely flavours alive. It is delicate, fresh and really filling, all at the same time and Lebanese food and Middle Eastern cuisine has plenty of meat free options to cater for all. From the moment you enter Al Diwan let us take you on a journey to ignite your taste buds, sights and senses. The décor and ambiance is perfect for sharing food, but more importantly, for sharing a moment with friends and family. Café Organic offers health conscious vegetarian meals with a passion for simple dishes using fresh, locally farmed produce, located on the Ground Floor. Described as the new kids on the block, Cafe Organic are Salad-O-Holics if there were ever any! Feel fresh with all day breakfast and lunch, open daily for a green feast at the Garden Gangstas crib between 7am-4pm. Salad Bar / Gluten Free / Raw / Dairy Free / Vegan Options along with a wide selection of juices, smoothies and smoothie bowls! 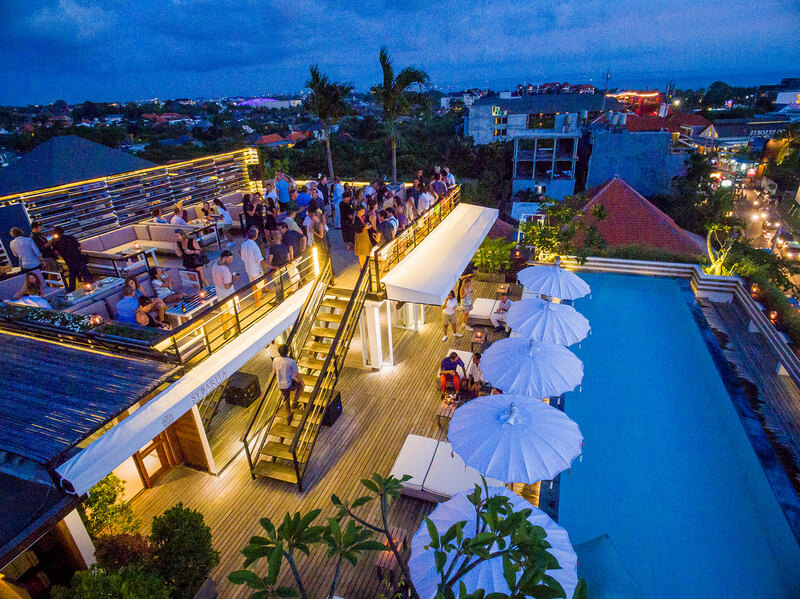 Our Imani Rooftop offers somewhere to relax and unwind with 240 degree views across Bali whilst enjoying the divine sunshine, casual dining, cocktails and juices. Laze your day away poolside and feel like kings and queens at our full service Imani Rooftop. Catch the sunset over the Indian Ocean as you lounge the afternoon away with friends as our rooftop deck transforms from day to night with special guest DJ’s, live music and acoustic sessions and traditional Shisha. 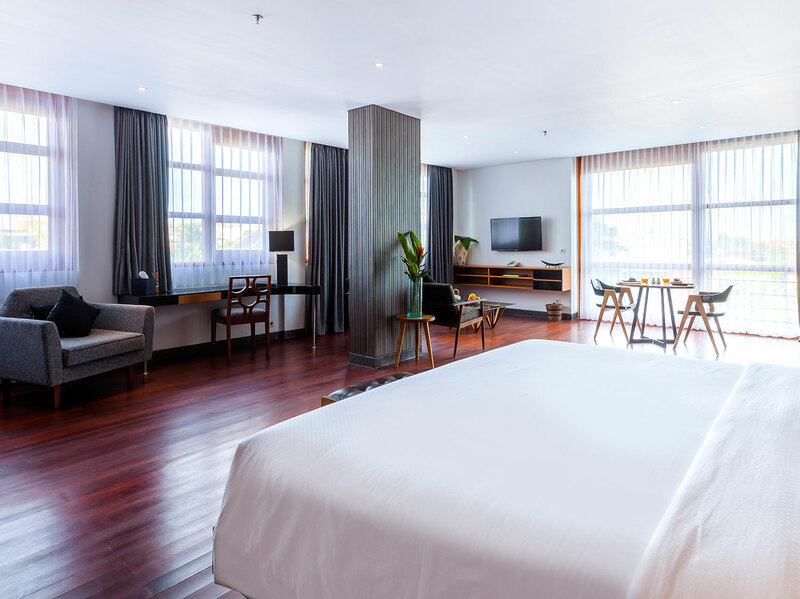 Located on the 1st and 2nd floors our Grand Deluxe Rooms have a small south facing balcony and offer all the mod cons including king size pillow top bed, private bathroom with rain shower, signature bathroom products, satellite HD TV, armchair and desk area. All rooms are fitted with a mini bar, tea and coffee making facilities and have ample wardrobe space to make your stay comfortable. Built with the travelling family in mind, our Grand Deluxe Family Suite has 2 bedrooms; 1 king size pillow top bed with satellite HD TV and the other fitted with bunk beds for the kids. A family dining area compliments the open plan living space which also offers a satellite HD TV, fridge and south facing balcony. The Grand Deluxe Family Suite has a fridge, basic kitchen essentials, toaster, tea and coffee making facilities. The large separate bathroom joins both bedrooms together and has a bath tub, dual vanity, rain shower and signature bathroom products. 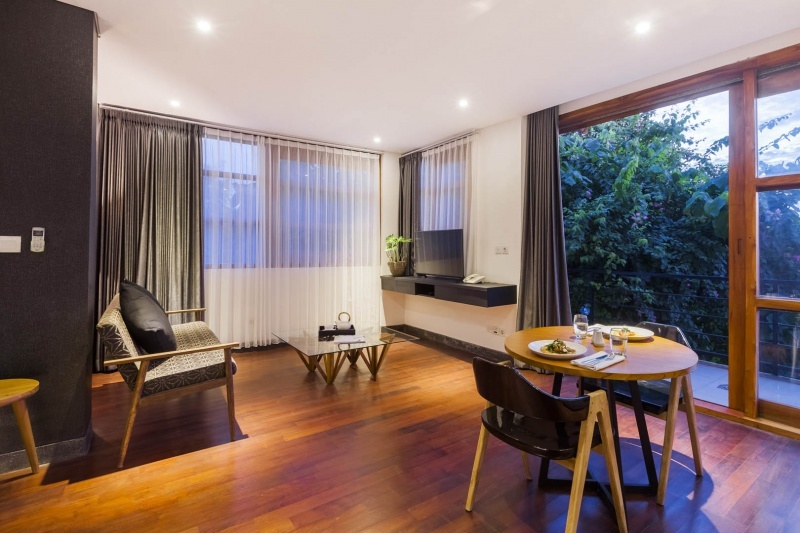 Designed for boutique travelers, our Executive Rooms are located on the 2nd floor facing on to Seminyak famous Petitenget Street. High end finishes, artwork and style give these rooms a luxe feel that will leave you wondering if it’s even worth leaving you room! All the Imani comforts are included such as pillow top king size bed, desk, casual seating area, satellite HD TV, separate bathroom with rain shower, signature bathroom products, mini bar, tea and coffee making facilities. Be it business or pleasure, our Executive Suites provide the executive traveler with everything they could wish for. 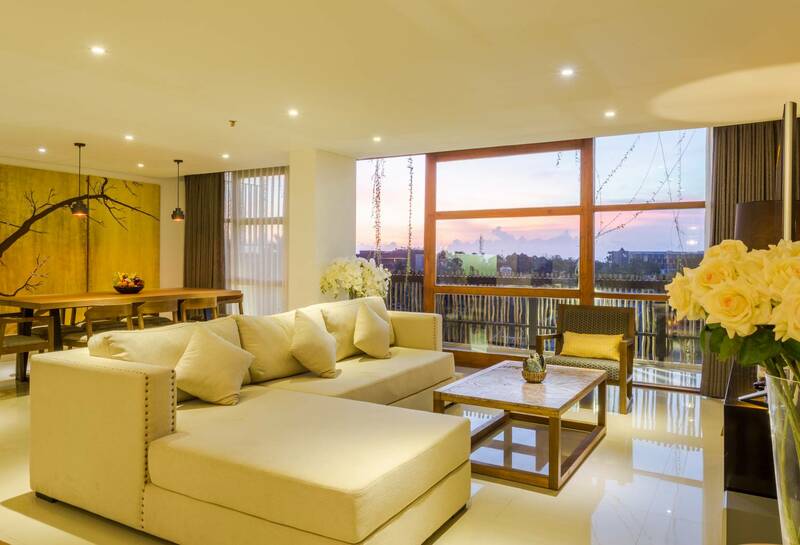 An open plan living area with sofa and a large separate bathroom offers space plus a comfortable working area coupled with modern style and luxury. Our Executive Suites boast wall to ceiling balcony access to allow a gentle breeze to flow through the rooms and include all of the Imani comforts; king size pillow top bed, desk, satellite HD TV, bathroom with rain shower, signature bathroom products, fridge, tea and coffee making facilities. 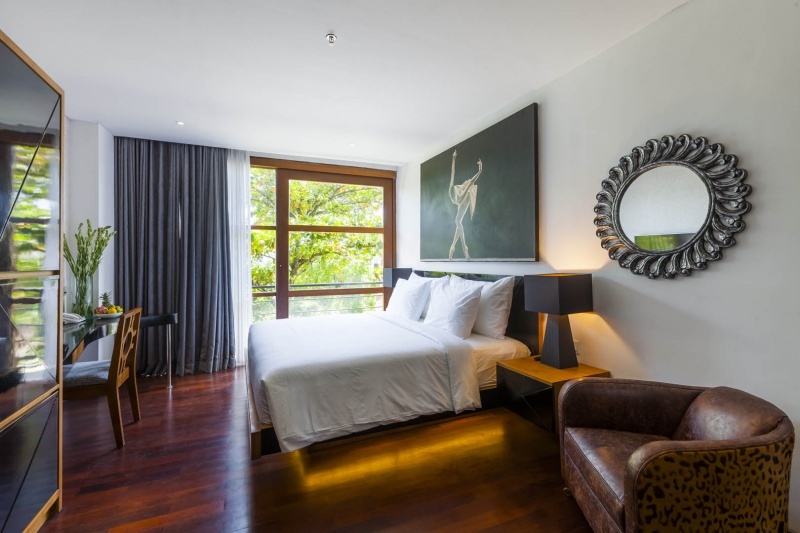 Located on the top floor our 2 bedroom Luxury Suite allow you to step out of your door and on to the rooftop pool area to laze the day away in the sunshine. The 2 bedroom Sapphire Suite looks down on to the bustling nightlife below and offers wide views to the north. Featuring open plan living, dining and kitchen areas, spacious bedrooms and luxury ensuite bathrooms the Penthouse Suites are sure to leave an impression. Located on level 5 our 2 bedroom Luxury Suite is uniquely styled making you feel at home without sacrificing any of the first-class amenities you would expect at a boutique hotel. Stepping up to the next levels, our Luxury Suites are 3 bedroom apartment style suites with large open plan living areas, kitchen with semi stocked fridge and basic kitchen essentials. 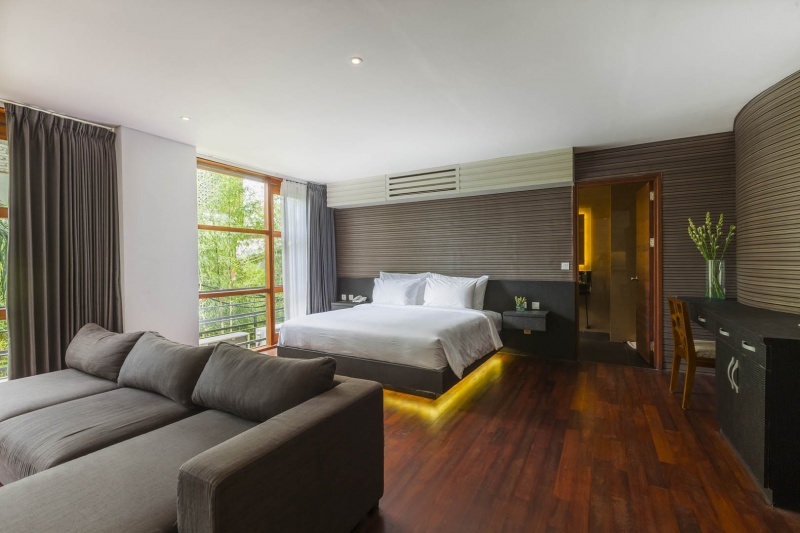 All bedrooms are luxuriously spacious with king size pillow top bed, desk and ample wardrobe space, casual seating, satellite UHD TV and ensuite bathrooms showcasing our signature bathroom products. Located on level 3 and 5 each of our Luxury Suites are uniquely styled making you feel at home without sacrificing any of the first class amenities you would expect at a boutique hotel.